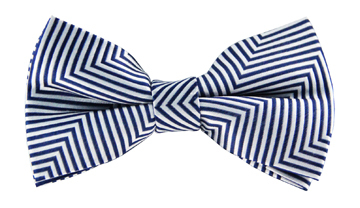 Classic with a modern spin is exactly what our Nathaniel striped tie is all about. 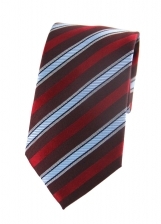 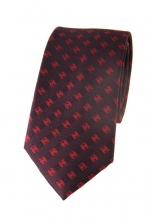 The light blue stripes sit playfully against the striped red and wine backdrop, giving this tie a contemporary feel. 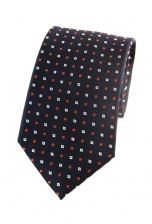 Why not wear it with a light blue shirt to pick out the blue accents.